It seems like the end of my trips (well, any trip, I suppose) always arrives so quickly. Time flies when you’re having fun though, right? After a fun, full day of museums on Monday, I didn’t have any solid plans for my last full day in my favorite city, though I did know I wanted to make my traditional stop at HMV to scope out any movie deals they may have going on (spoiler alert – no great deals I couldn’t live without). I didn’t spend a whole day there though! And I actually had quite the interesting experience on the streets of London before I even made it HMV. More on that shortly! After another tasty breakfast in the hotel (my second-to-last one – waaaaah! ), I decided I would head towards the HMV on Oxford St. The weather wasn’t as good as Monday, but also wasn’t as bad as the weekend, with grey skies and just a hint of rain – not enough to need an umbrella for the most part. I decided I would stop by the TKTS booth in Leicester Square to see if they had any good prices on tickets for Tuesday matinees. 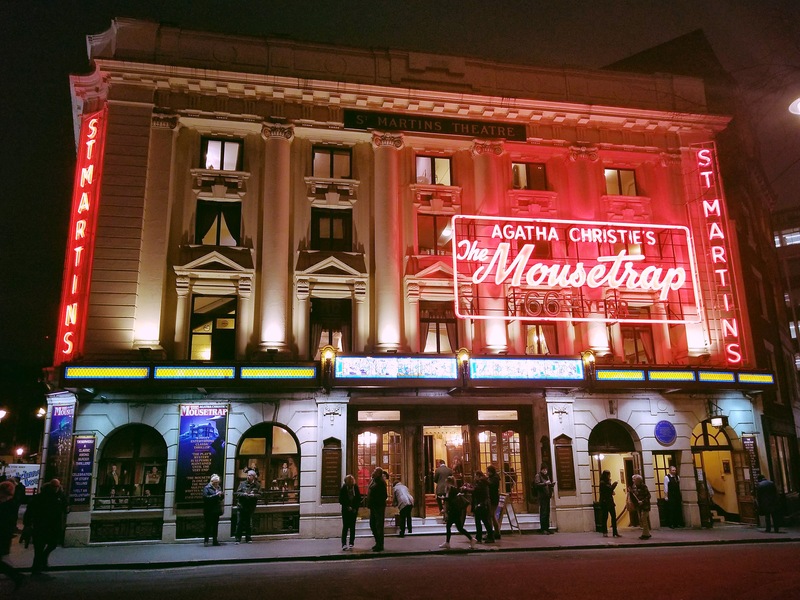 On Sunday, Matt, Lisa, and I had been talking about The Mousetrap, which has been playing on London’s West End at St. Martin’s Theatre for a whopping 66 years. Yes, that’s right – 66 years! 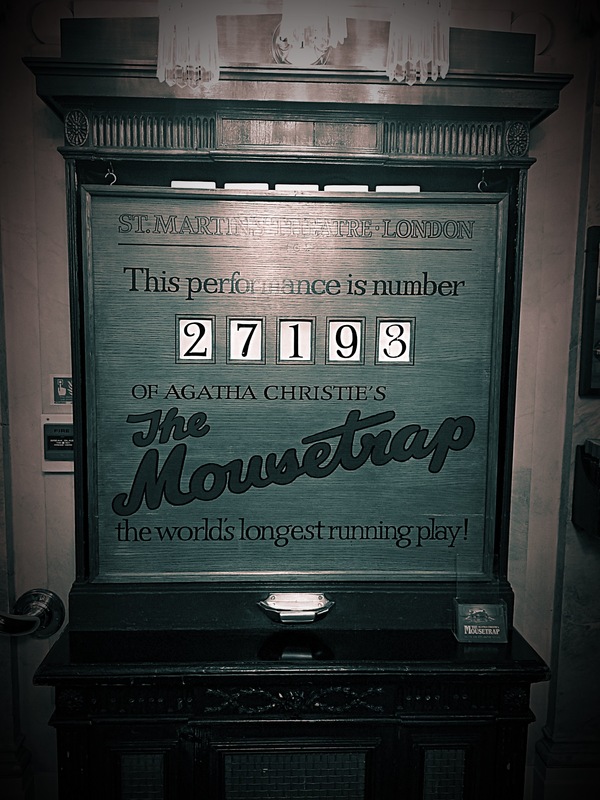 It’s the longest-running play in the world! I didn’t actually know that when we were talking about it, but my curiosity had been piqued during our discussion as I’d never seen the show and wasn’t familiar with it, other than knowing it was an Agatha Christie story. 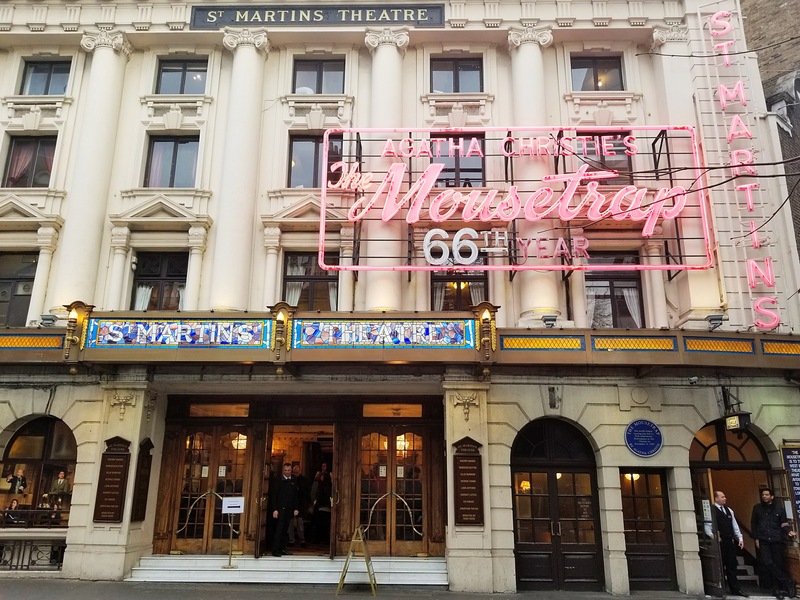 Unfortunately, TKTS didn’t have any good ticket prices for that show (as I later learned, there are never discounts offered for The Mousetrap, so don’t bother looking for any), though they of course were selling the same tickets for the show I could buy directly from the theatre. I decided to hold off on buying tickets as I had plenty of time to make a decision (it was probably 11a when I was there and the matinee didn’t start until 3p), so I just continued on my way towards HMV, which took me through Piccadilly Circus. And that’s where my interesting side-adventure happened! 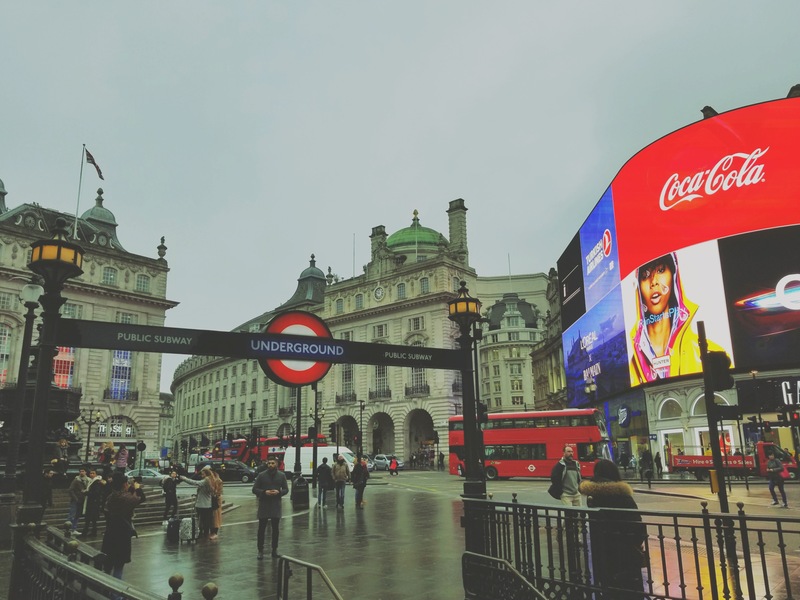 Picture it – Piccadilly Circus on a grey Tuesday morning. 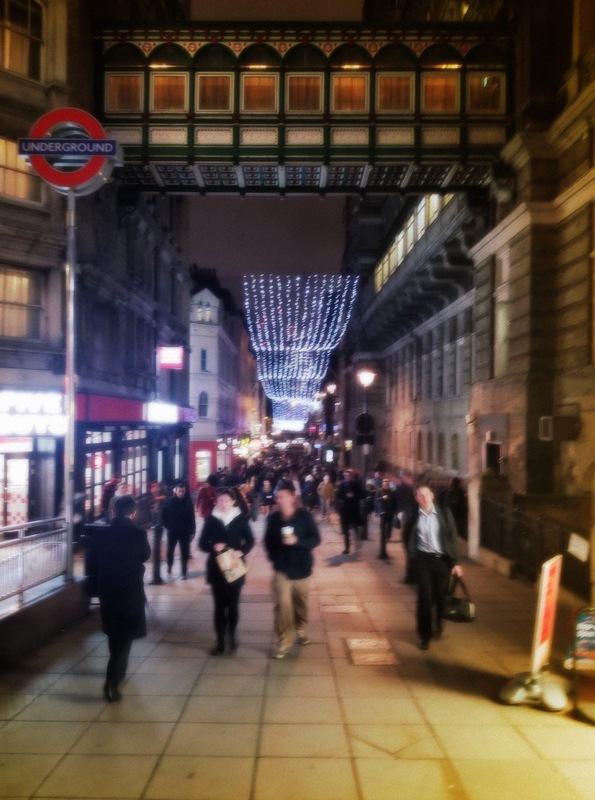 I’m walking along, minding my business, when I stop to take a picture of the hustle and bustle of the area. Then, someone approaches me asking if I’m willing to help with a test they’re doing, saying they’re trying to figure out which phone takes better pictures. He pulls out a list of phones and tells me they’re specifically looking for people with Samsung phones for this test and that it will only take two minutes. I hesitantly agree, but the more he talks, the more it seems this might take awhile (not that I was in a hurry – I was just kind of annoyed at the idea of being waylaid for any length of time), so I say I’m not interested. He asks what kind of phone I have and I tell him (Samsung Galaxy Note8) and he says they haven’t been able to find anyone with that phone, so they would really appreciate me participating (I can’t remember for sure, but this may have been the point where he also said I could win something for participating). I agree and he leads me over to where an entire production crew was waiting! There are three guys with cameras, a lighting person, two guys hanging in front of the cameras, and the guy I was talking to (who, based on his actions, had to have been the director). And a couple of other people on top of all those folks! I’m presented with a release form to sign, so it becomes clear that a) they’re filming this for some kind of advertisement/commercial and b) this will take more than two minutes. Those two guys I mentioned? It turns out they’re my co-competitor (he was the one doing the speed test for the phone the advertisement would be for) and the host of the little competition. They set us up in a face-off and we have to test four different functions on each of our phones – unlocking it, taking a picture, playing music, and turning on the flashlight. Now, I have no idea if the other guy’s phone really was as fast as he claimed (by the way, the phone was a OnePlus 5T), but he won all four challenges. Rats! Not being accustomed to being grabbed for a spur-of-the-moment commercial and not being used to being filmed, I was feeling a little nervous, so I’m sure that impacted my ability to move as quickly as I otherwise would have, but it was still a fun experience. That is, until, things took a bit of an odd turn. After completing (well, losing) the fourth and final challenge, the guy who had the release form came back over to me and told me I lost (obviously), but that I still had a chance to win something (I was never told what the “something” might be though). He asked me to add a set of initials to the form I’d already completed, so I did, and then I turned back to the host and my competitor. The cameras had either stopped filming for that short time or kept filming the whole time (I’m not sure which), but it was clear they were still filming when I turned back to the host as he was still using his “host voice”. He thanked me for participating and was talking up the OnePlus 5T, making it clear it was the better phone, and was saying how I obviously wouldn’t be needing my phone anymore. So he held it out, raised his hand, and SMASHED my phone on the concrete! I was simultaneously perplexed, anxious, surprised, annoyed, and probably a number of other emotions. In the back of mind, I kept thinking “There’s no way he actually smashed my phone, right?” but he picked it up off the ground, handed it to me, and said something like “You did read that waiver you signed, right?” Of course, I didn’t fully read it (oops), but I kept thinking there had to be more to it than this. Despite that, I’m still nervous about my phone, looking at its shattered remains in my hand. He asked if I needed anything from him and I said I may need a new phone! 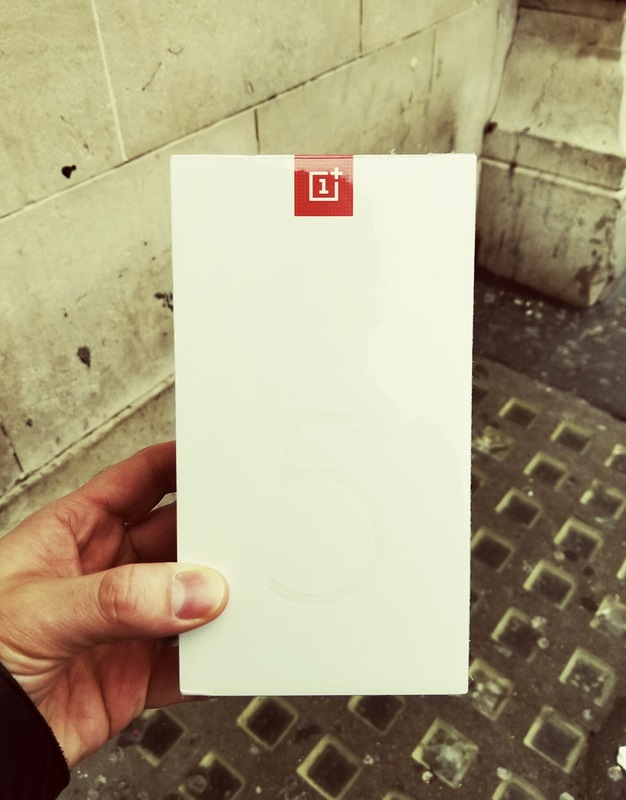 He pointed me in the direction of a shop where I could buy the OnePlus 5T (of course), but then he reached into his back pocket and handed me back my actual phone. WHEW!! Both the host and my competitor laughed with me and the director came up and was laughing as well. “We never get people to react when we smash the phone!”, he said to me. I told him I was thinking about it rationally and that I remembered when they asked me about my phone, they specifically said “Oh okay, a black Note8, right?” and then asked me to remove it from the case so they “could see the phone better.” Of course, I realized at that point it was so I wouldn’t recognize the phone as not being mine when they smashed it. Clever, clever! Anyway, then the host said they had something for me. 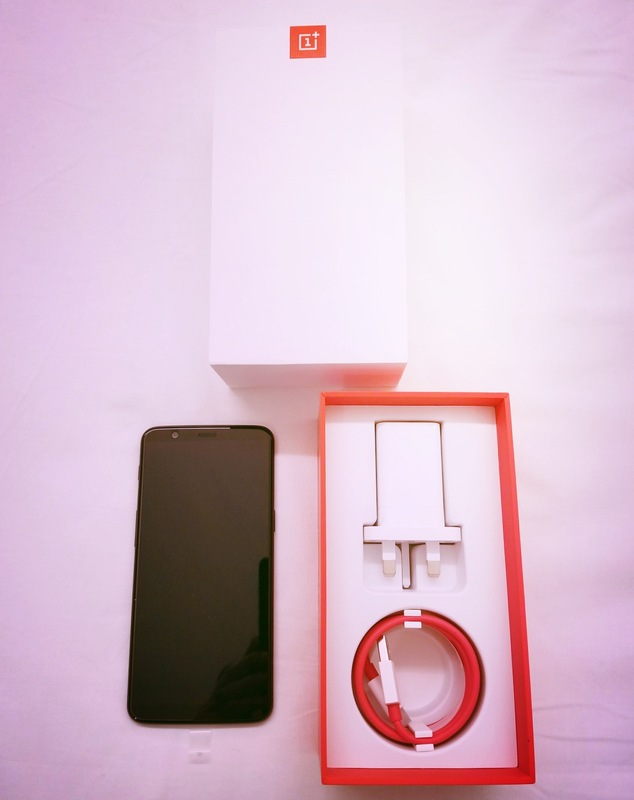 Yes, you guessed it – a OnePlus 5T! I’m not someone who wins things like this often, so it was pretty neat! Though I guess I didn’t really “win” it – I earned that thing! The director got some shots of me with the phone and then sent me on my way. I had set my bag down where some of the crew were standing, so I asked one of them if this was for TV or online and they said it was for online use. Since I had provided my email address, the woman I was talking to said they would send me a copy when it was ready. I’ll certainly share it here if/when they send it to me! As I started back towards HMV, I saw my friend the host talking to two more people, asking them to participate, so I showed them the phone and said “Normally I would tell you to run away, but it’s actually fun!” Unfortunately, they didn’t really speak English, so I’m guessing they didn’t participate. If your heart rate went up reading my story, check out a few photos to calm down! 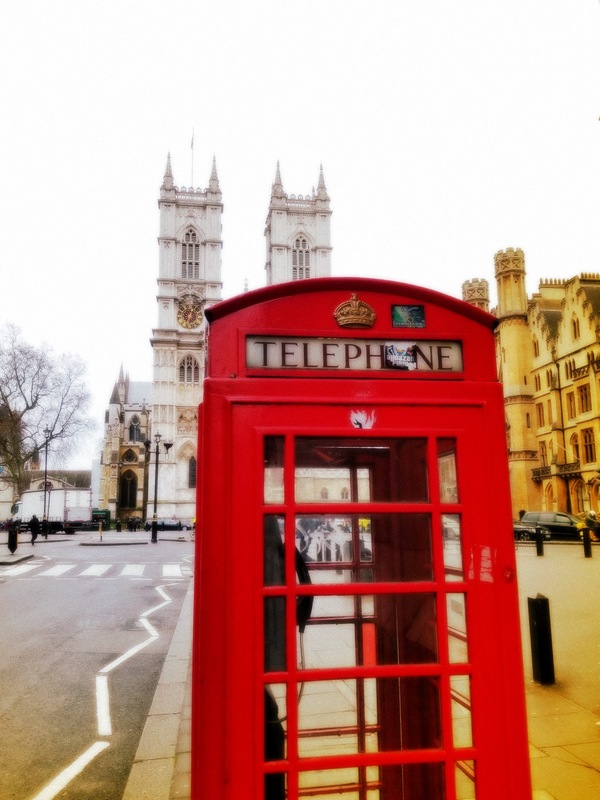 A phone box and Westminster Abbey, just down the street from my hotel. 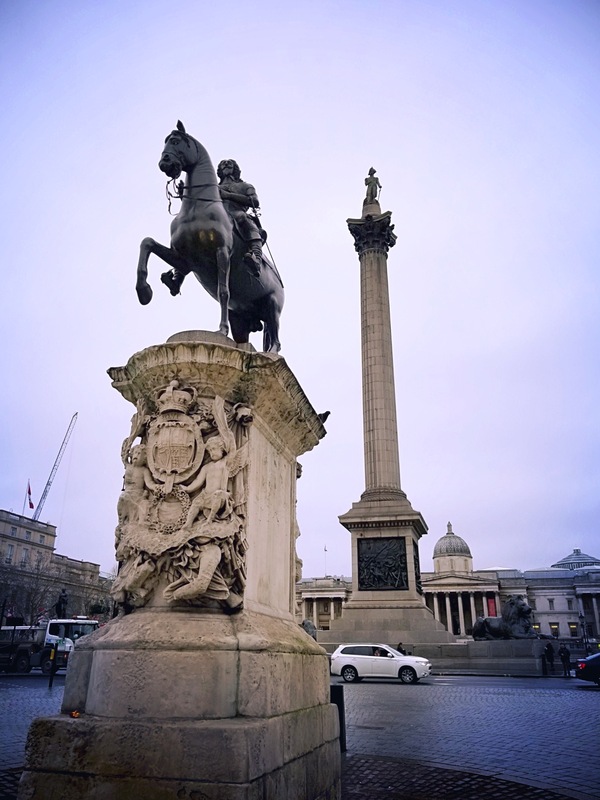 A slightly different angle on Trafalgar Square. 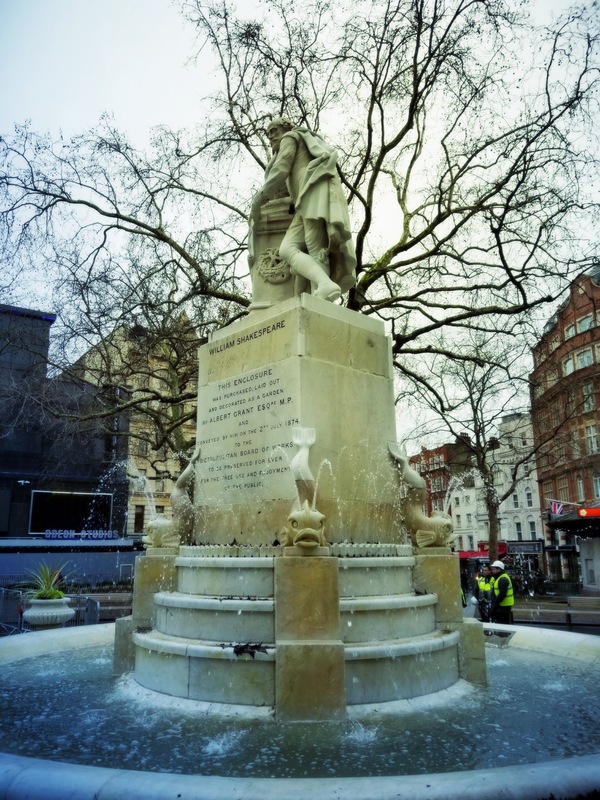 Leicester Square was still being cleaned up from London Lumiere, so I couldn’t go all the way through it, but I was still able to get a picture of the William Shakespeare statue in the center. 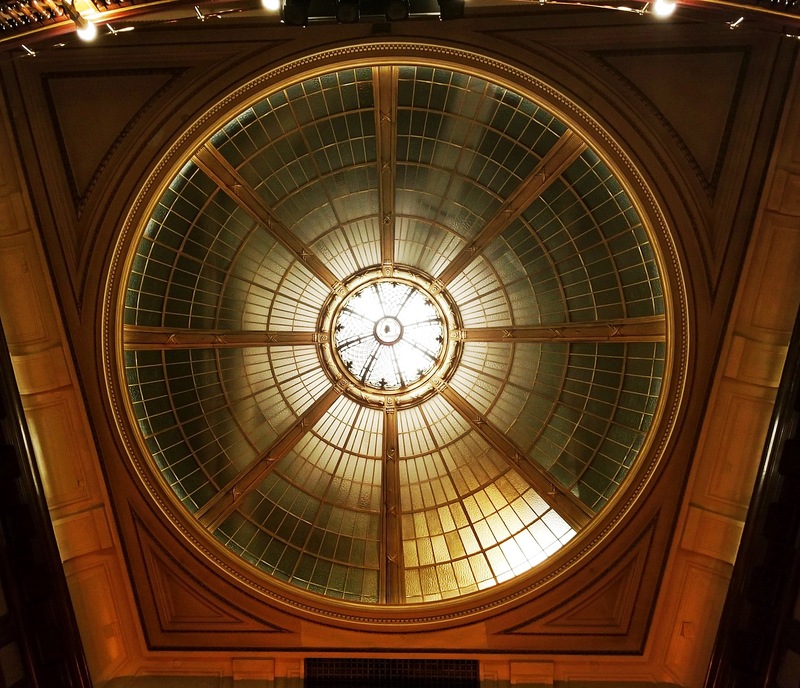 Remember to look up on your travels! 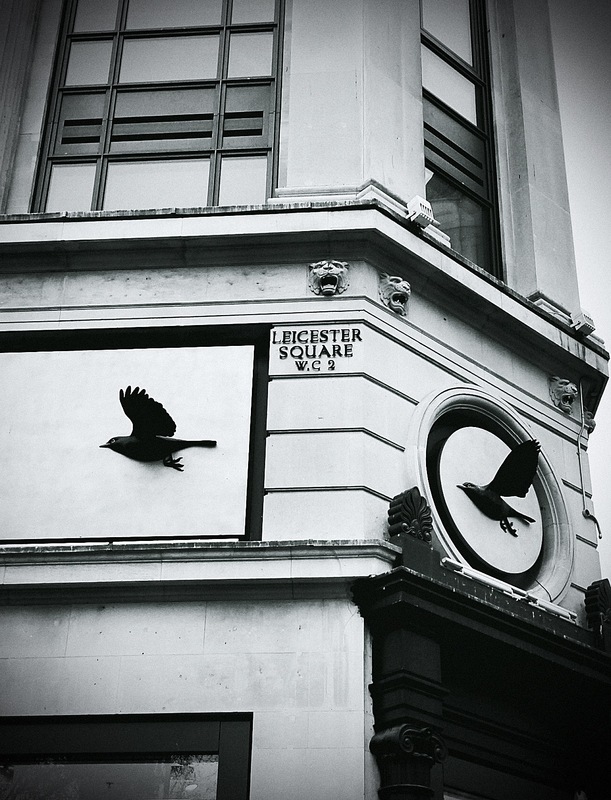 Despite the dreariness of the weather, I really like the way this photo of Piccadilly Circus turned out. 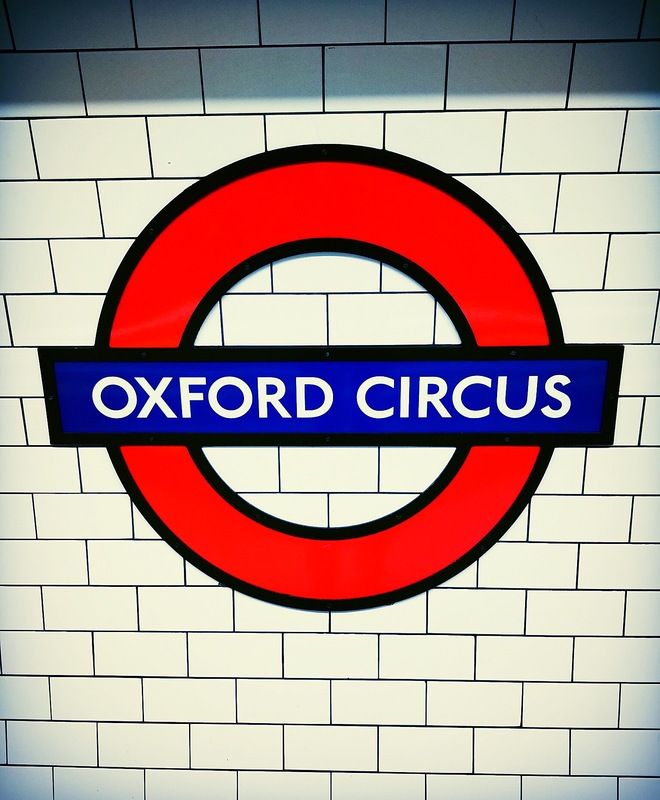 Passing through Oxford Circus station on my way back to the hotel. It was right after that last picture that I got stopped for my big commercial debut! It would be hard for anything to stack up against that, but I still had a nice walk to HMV before heading back to the hotel, where I decided I would indeed see The Mousetrap. Being a Tuesday afternoon matinee for a show in its 66th year, there were a fair number of seats available, including some day seats, which have to be purchased from the box office in person. I decided to buy a slightly better seat and had about an hour to kill at the hotel before walking over to the theatre. St. Martin’s isn’t particularly large, but seemed to be a nice theatre and the performance was fun! As I said, I didn’t have any knowledge of what the show was like nor did I know “who dunnit” but I did by the time the show was over. It was…….. Well, you didn’t think I would actually tell you, right? 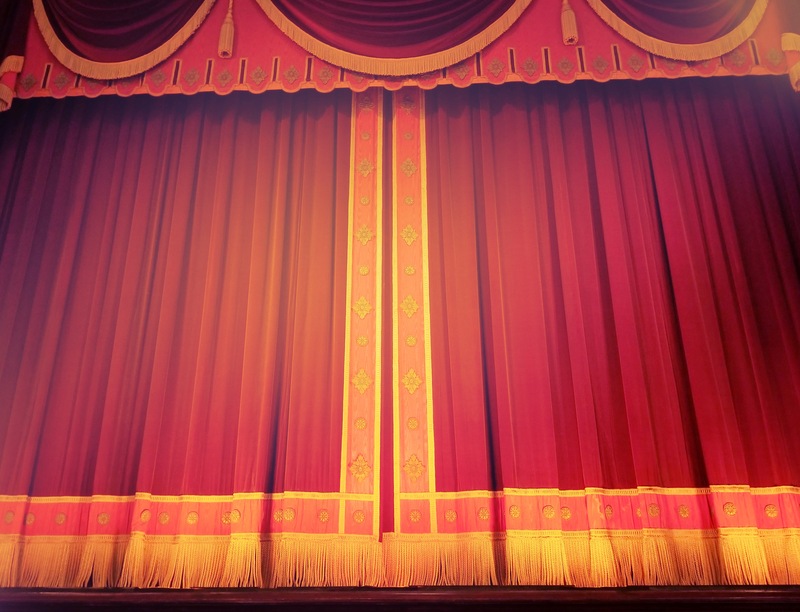 You’ll have to see the show for yourself! I think this is the only time I’ve participated in the 27,193rd edition of anything! The stage at St. Martin’s. Another shot of the theatre lit up for the evening after the matinee ended. After the show, I wanted to maintain my tradition of having an early(ish) evening on the night before I fly home so I have time to pack up and relax, so I just did some wandering back towards the hotel and decided to walk down Villiers Street in search of somewhere to eat. I landed at a place I’ve visited once before with my friend Ruth Ann, a number of years ago. The Princess of Wales is a very standard pub, probably pretty touristy, but it was a nice meal and a great way to end my latest London adventure. 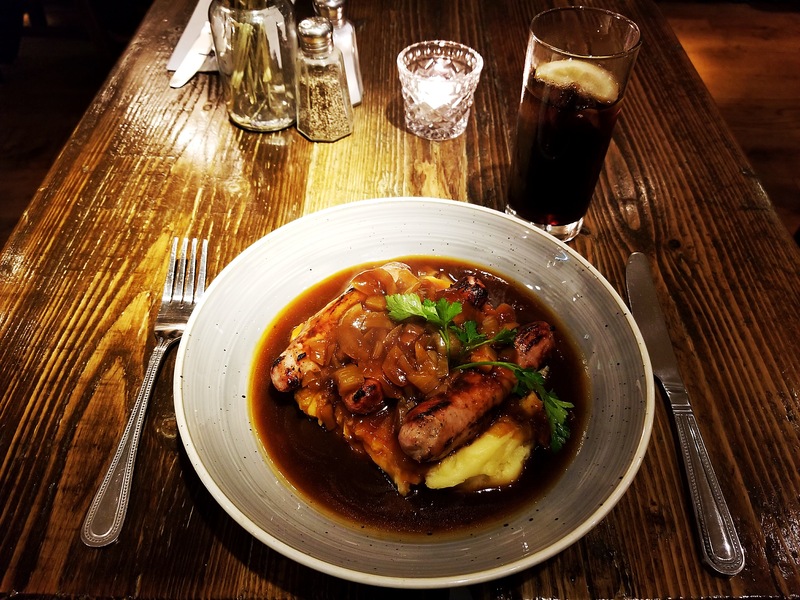 My bangers and mash were really tasty and the Pepsi I had with it hit the spot! And at £14/$20 USD, it certainly didn’t break the bank, either. A slightly dreamy haze over Villiers Street. Check out The Princess of Wales if you’re looking for a tasty meal at a good price! Stay tuned for more travel adventures in 2018! 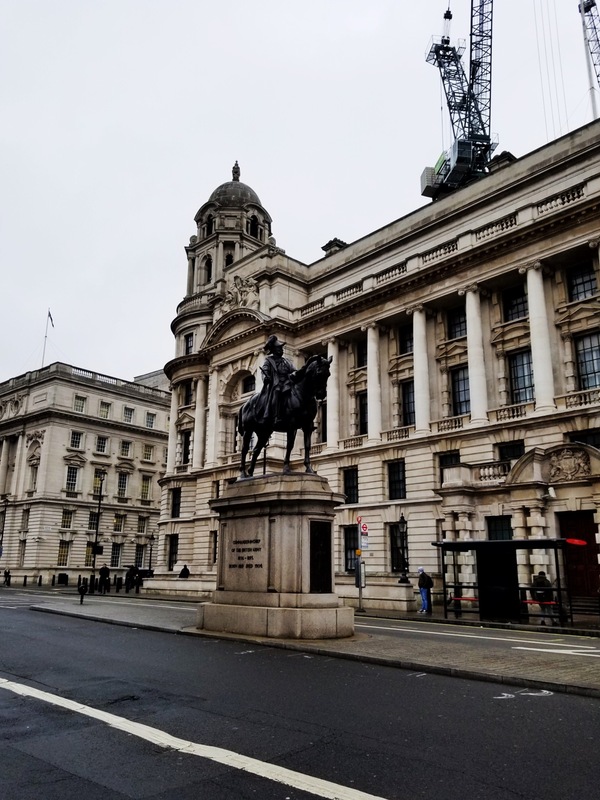 PS – I started this blog in London, continued it on the plane somewhere over the Atlantic, and finished it up here at home in St. Paul. So you could say this post took its own little trip to get here! Loved all your posts, Jeff! Glad you are home safe and sound! I will be glad when Scott is home too! I couldn’t believe your story on the phone…I was sure you were going to get mugged! So glad that worked out so well too! I look forward to seeing the new phone!